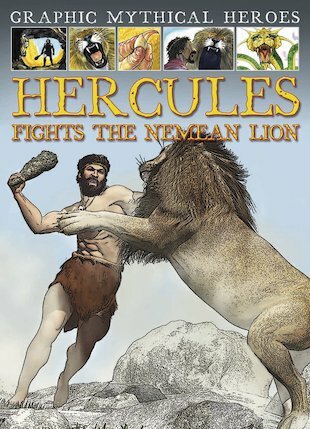 Said to be the strongest man in the world, Hercules is charged by the king to carry out ten impossible tasks. The first is to kill and skin the mighty lion of Nemea, whose golden hide cannot be pierced by swords or arrows… Using action-packed colour pictures bursting with life and energy, this graphic novel draws you deep into the terror and drama of an epic ancient story. Walk in Hercules’ footsteps as he faces the monsters of old, fighting the battles that will make him a legend.